Not only will this year bring Captain Marvel and the end of Phase Three with Avengers: Endgame, it’s continuing an appreciation for the incredible run leading up to those films in the form of beautiful art. 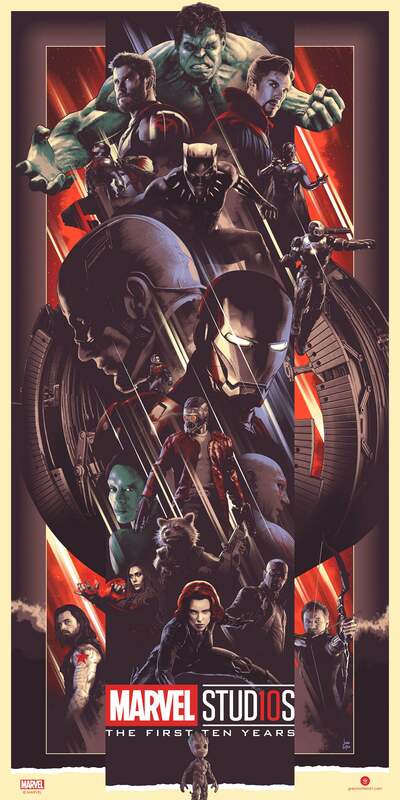 Mondo had a show last year, and right now, Bottleneck Gallery and Grey Matter Art have two awesome posters for sale featuring the heroes, and villains, of the Marvel Cinematic Universe. 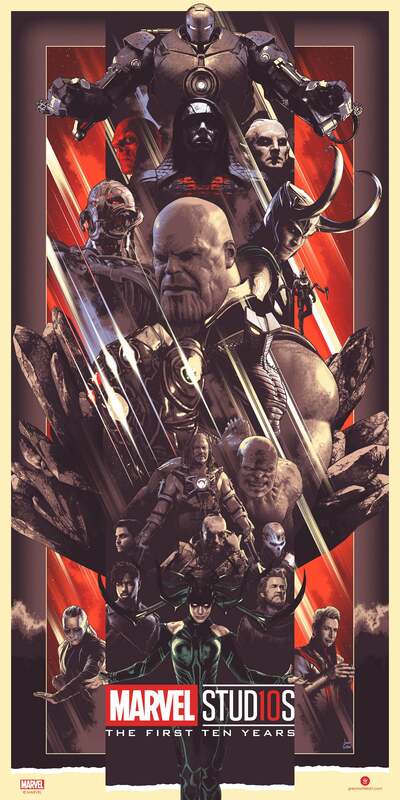 The posters are by John Guydo and here’s the heroes version. But, obviously, you can’t have heroes without villains, so here’s that version. No matter what you think of these posters, just look at them and think back. Can you believe that over the last 10 (plus) years we got to see movies with all these characters in them? Some even with them fighting side by side? Can you imagine telling your younger self these characters would make it to the big screen like this? I don’t think I can.